PUTRAJAYA: The impact of Britain’s vote to leave the European Union (EU), or Brexit, on Malaysia’s economic growth is not significant, says Treasury Secretary-General Tan Sri Mohd Irwan Serigar Abdullah. He said at present, the country’s economy is on the right track to maintain its Gross Domestic Product growth of between 4.0 and 4.5 per cent this year, as indicated by the 4.2 per cent growth posted in the first quarter. “With the festive season and 1Malaysia People’s Aid (BR1M) handout approaching, we expect domestic consumption to remain strong and foreign investments to increase. “The impact of Brexit is felt more by the United Kingdom and European countries. Malaysia relies on export diversification, exporting to China, India and the Middle East, so Brexit’s impact on the country is minimal,” he told reporters after closing the ‘Volunteering for International Professionals (VIP) 2016’ programme here today. On VIP 2016, Mohd Irwan said the programme would be expanded to low-income ASEAN countries like Cambodia, Laos and Indonesia. “Volunteers from Malaysia and other countries will visit villages and other areas to help raise people’s standard of living and incomes, as well as provide a suitable and comfortable living environment for them. “This programme is good for the ASEAN community because rising incomes and improved living conditions would expand the markets within ASEAN,” he said. 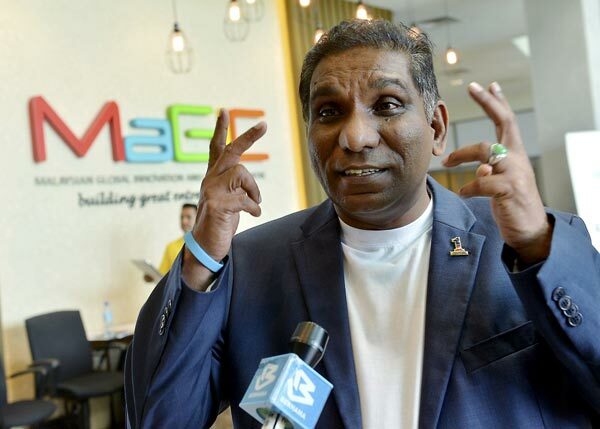 Mohd Irwan said within four months of the programme, the volunteers had successfully carried out nine projects at a total cost of just under RM1.8 million. “All projects are people-based. If the projects were to be implemented by the government it would cost hundreds of million,” he said. The VIP programme, a project under the Ministry of Finance, began on March 14 as an initiative under the National Blue Ocean Strategy.